Whether or not someone has a home, they still deserve access to the creativity, dignity, and passion of live classical music. So believes Julie Leven, Founder of Shelter Music Boston, a social service organization that puts professional musicians to work in environments of need. Leven shares the power of bringing monthly classical concerts to shelter guests while engendering hope in music and humanity. Julie Leven is the Founder and Executive and Artistic Director of Shelter Music Boston. 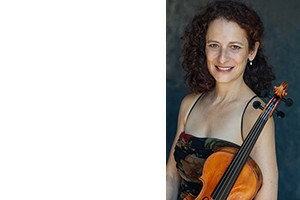 She was named a Boston Neighborhood Fellow in April 2014, is a 2012 graduate of the BU School of Management Institute for Nonprofit Management and Leadership, and is a member of the Handel + Haydn Society Orchestra and the BostonPops Esplanade Orchestra. When not playing concerts or dreaming up new projects for Shelter Music Boston, Leven is passionate about organic farming and an avid Argentine tango dancer.